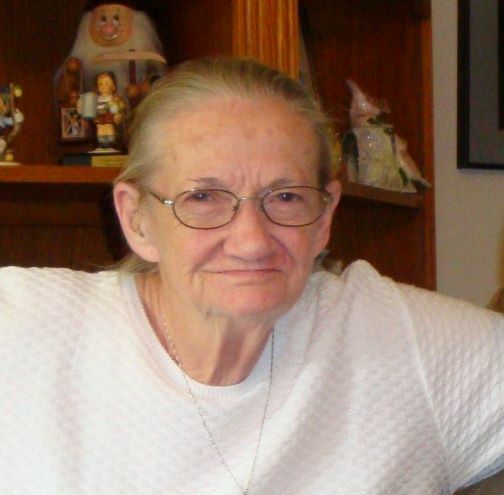 Mary Jane Davis Smith, 85, of Ozark Alabama, and formerly of Pearisburg, VA passed away on January 19, 2019 at Pecan Manor, TX. Mary Jane was born in Pearisburg, VA on December 9, 1933 to the late Charles Davis, Sr. and Hazel Davis. She graduated from Pearisburg High School. She was a military wife, mother, sister, Aunt Jane, and a beloved Grannie to her 3 granddaughters and 5 great grandchildren. Mary was a Christian woman and enjoyed family, crocheting, Cracker Barrel, and her shopping trips especially to antique stores. Mary is preceded in death by her husband, Marvin, her father, Charlie Davis, Sr., her stepfather, Tom Lindsey, her mother, Hazel Davis-Lindsey, three sisters, Jacqueline Davis, Janice Davis, and Rowena Fletcher, two brothers, Thomas Jacob Davis and Charles Davis, Jr. and one grandson, Richard Alexander Smith. She is survived by two sons, Marvin Richard (Rick) Smith and wife Christy, Thomas Lee Smith (Tommy) and one daughter, Starr Lynn Vankirk and husband Kevin. She is also survived by three granddaughters Heather Roper, Kristy Smith Beals and husband Trent, and Falicia Roper Hines and husband Justin, and five great grandchildren Emily Stewart, Ashton Beals, Morgan Hines, Chloe Beals and Isla Hines, as well as several nephews. Graveside services will be held on Monday, 28 January 2019 at 1 pm at Birchlawn Burial Park in Pearisburg, VA. In lieu of flowers, donations can be made to the First United Methodist Church, 777 N Walnut Creek Drive, Mansfield TX 76063-3221, 817-477-2287 or Alzheimer's Association (https://alz.org/). If you would like to send your condolences to the family via Givens Funeral Home (Pearisburg, VA) simply sign the Memorial Guestbook. Your condolences will be printed out and given to the family. If you would like to send your condolences to the family via Givens Funeral Home, simply sign the Memorial Guestbook by clicking the link. Your condolences will be printed out and given to the family.